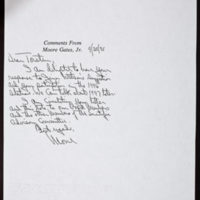 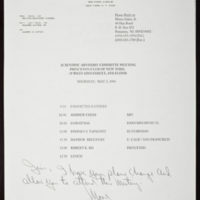 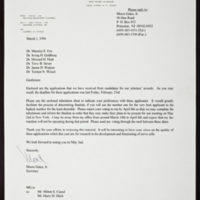 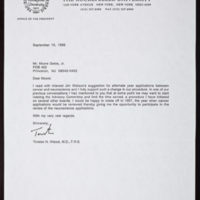 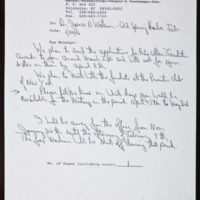 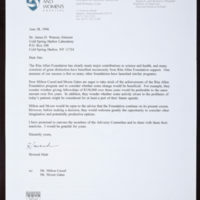 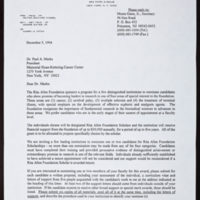 Letter from Torsten N. Wiesel to Moore Gates, Jr. 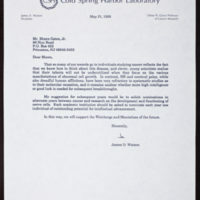 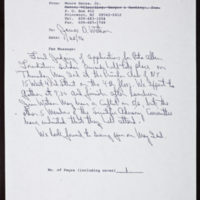 Tags: Fellowships and Scholarships~ Gates, Moore, Jr.~ Rita Allen Foundation~ Watson, James D., 1928-~ Wiesel, Torsten N.
Letter from James D. Watson to Moore Gates, Jr. 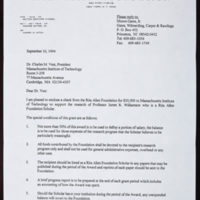 Tags: Fellowships and Scholarships~ Gates, Moore, Jr.~ Rita Allen Foundation~ Vest, Charles M.